The sub-title of this book, “The secret history of the end of an empire” is probably a bit misleading. 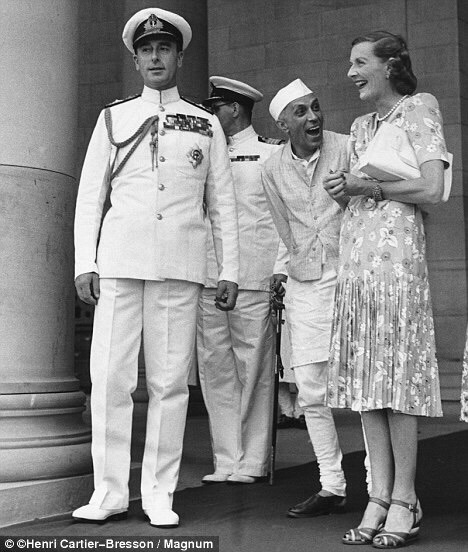 It seems to derive from the author’s very sympathetic exploration of the not very secret menage à trois that developed between Edwina Mountbatten, Nehru, and Edwina’s husband Louis, the last Viceroy. Rather than a secret history this is a fine narrative history of the coming of Indian and Pakistani independence and the bloody aftermath. Nehru and Edwina Mountbatten are the author’s particular heroes, though she also seems to have a healthy respect for Jinnah and Gandhi, and a soft spot for Lord Louis “Dickie” Mountbatten who, for all his limitations, comes across as a very likeable and fundamentally decent chap. There is much else to admire in the book, not least the author’s portrayal of the true awfulness of the carnage that erupted with partition and her assessment of controversies, such as the origins of the Kashmir conflict, I found fair-minded and careful. Personally I was left with a much more negative opinion of Gandhi as a result of reading this book: He was unquestionably a brave and principled man of considerable moral courage, but his calling a halt to the campaign for the British to quit India in the 1920s seemed to have meant the loss of an opportunity for Indian independence unsullied by partition, and the holocaust that entailed. Others may prefer to emphasize the failures of twentieth century British policy towards India, up to and including the management of their departure. However given Gandhi’s retrogressive position on caste it is probably time for a more sober reassessment of the man’s life and achievements. As a bonus the author also has a lovely gift for humour and the narrative is peppered with some excellent jokes that emerge naturally from her account, rather than being shoe-horned into it. The result is an elegantly written and erudrite popular history of run up to Indian independence and the bloody chaos of the sub-continent’s partitioning.